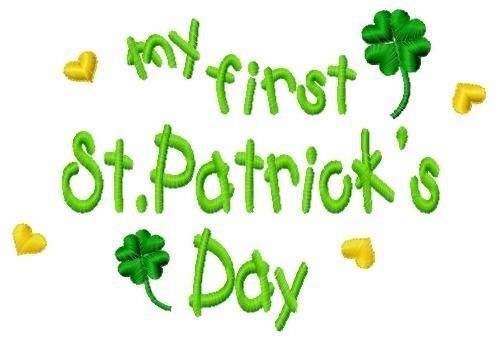 First St. Patrick's Day - 3 Sizes! Perfect for a parade! Stitch this sweet design on baby's shirts, hats and more. Includes 4x4, 5x7 and 6x10 sizes. Earn 7 points at checkout OR buy this item for 130 points. St. Patty Car Applique - 3 Sizes! Spring Applique Monogram - 3 Sizes! Silhouette Shamrock Applique - 3 Sizes! Finish Size 3 (9/16)" x 3 (1/2)"
Finish Size 6 (5/8)" x 4 (1/2)"
Finish Size 8 (13/16)" x 5 (15/16)"